WGN Chicago's "Bill Leff Show"
The FORWARD, "exhaustive and gripping new biography"
Chicago Tribune, "lively and meticulously researched"
The Jewish Week, "a most comprehensive and accessible biography"
The Hollywood Reporter, "told with intimate details, an affectionate touch of humanity"
Library Journal, "a well thought-out cultural history of Jewish Americans"
UNC radio, "Dave's Gone By"
Jewish Daily Forward "exhaustive and gripping new biography"
Library Journal "a well thought-out cultural history of Jewish Americans in the mid- to late 20th century"
Pop Matters "shows the transformation of Jewish culture in America"
Long Island Newsday Stories here and here. The Jewish Advocate "Mark Cohen's masterful, critical biography"
The Hollywood Reporter "told with intimate details, an affectionate touch of humanity and lots of his parody lyrics in the well-researched book Overweight Sensation." Washington Jewish Week "With his deceptively simple parodies of well-known songs, Sherman was at the head of a new generation of American Jewish entertainers." Chicago Tribune "lively and meticulously researched"
Women's Wear Daily (5/3/13) "An interesting and engaging biography of a complicated man." Women's Wear Daily (6/4/13) "Unlike many authors, Cohen seemed very much at ease on the podium"
Mark Evanier's blog NewsFromMe "You rarely come away from a portrait of a comedian understanding so totally why he and his work mattered… and how they mattered." 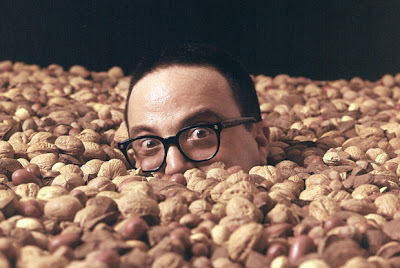 Tabletmag.com "[Allan Sherman] did as much as anyone to bring Jews out of the American pop-culture closet. One can hope that, thanks to Cohen, his legacy is now safe." JUF News Chicago "The book, like its subject, is both hefty and hilarious." Chicago Jewish News "Now, on the 50th anniversary of the release of 'Hello Muddah,' the first complete biography of Sherman casts him as much more than just a fat Jewish funnyman." The Jewish Journal (Los Angeles) "A penetrating biography by a savvy observer of show business." J. Weekly (San Francisco Bay Area) "Sherman left behind a storehouse of comic masterpieces, most of them song parodies, many of them on Jewish themes, and almost all of them wickedly clever." "Mark Cohen's Overweight Sensation is a remarkably well-researched, passionately written story of quite nearly tragic proportions. If only for the enduring genius of 'My Son the Folk Singer,' Allan Sherman's story will remain a crucial episode in the annals of satire, of assimilation, of celebrity seduction and (most importantly) of American Jewish culture and history. We are all in Cohen's debt to have it in such telling detail." Thanks for this great post. I have read your blog very carefully. I see that you are smart writer about biography writing. I have a blog and you can view now about biography writing relevant. Extremely good post, Development is acts like the particular contraption between the whole world as it constructs the social coordinated efforts, associations, business deals impacts the social and Follow us word related life. Great information about the press list and biography making. This is absolutely good information you have shared in this post. Here check this useful site to get graphics designer biography writing service. Also in this blog I have got lots of valuable information about biography writing. Those information should helpful for students and writers. The section of the review is waiting for the people who are serious in their work. Maintain the better voice with the new arrangement. Just get the new idea with the link of http://accountant.biowritingservices.com/ and enjoy the comedy of the Allan Sherman. It should be reviewed in press while you are going to publish it through the world wide and it could bring some good news afterwards. http://biosketch.net/ to check out more helpful guide and tips for writing your papers. Coen Brothers Want to Read My Allan Sherman Bio!